New season, new beauty at LloydsPharmacy! Autumn’s new makeup is the most exciting of the year, and usually the most wearable with great palettes, lip colours and trends. What are the top 4 looks we should take tips from this season? Smoky Eye: It’s back again, the eye look we all love and it couldn’t be simpler to get perfectly smoky eyes than with the clever new palettes from Clarins. Day and Night are two 5-piece eye palettes in lighter or darker shades to suit your individual colouring. Each can create a number of different looks from quite sheer to deeply smoky, choose your favourite, €38. Liner: Seen on so many catwalks for Autumn/Winter great liner is a standout trend for the season. Be clever, throw on your heels and head straight for the Shimmer Strips Eyeliners from Physicians Formula. These genius liners come in packs of three, each pack designed for a specific eye colour, blue, green, brown or hazel. Every pack contains black but the other two shades are used to enhance the eye colour and make it pop. Perfect lining every time, €16.90 per pack. Blush: A welcome diversion from the contouring trend, blush is back this season, and it’s a trend for every age because it’s really youthful. Keep it high on the cheeks and use the first three fingertips to apply gently for a sheer, even pop of colour. It can work with a little shading beneath the cheekbones for better definition, the finished look should be natural. Max Factor’s Miracle Touch is a cream blush, far easier to control and apply than a powder, €10.79. Red Lip: For an instant updated look why not try a simple red lip and quite neutral makeup for the rest of the face? This season’s perfect red is matte or satin, long wearing and as bright as you dare to wear. Ultimate Stay in Behind The Red from Catrice is a top buy at just €4.49. Hours of endless colour, a great matte finish, it’s a red that turns heads. Ready for the new beauty season? You bet we are! Love celeb style and want to add a little of it into your own routine? Let’s take a look at some of the A-Listers we all love, in particular their eyes, and using the principles of a colour wheel see how they highlight their eye colour. A colour wheel for choosing makeup is quite simple, look to your eye colour and at the 2-3 shades opposite it on the wheel. Whether your eyes are blue, green or hazel there are alternative colour groups, how strong you reflect the colour guide is up to you but the wheel could point you in the direction of new shades. Let’s check out our celeb inspirations…. Rust, orange, peach and coral shades are opposite to blue on the colour wheel and in an instant can make this eye colour really stand out. They are warm shades which emphasises the coolness of blue, try the colour with just mascara to finish or add a touch of charcoal eye liner on the upper lash line. Even though red is opposite green on the colour chart not too many people have really strong green eye colour like Kristen Stewart has to pull it off, and she wears the shade quite a lot. So lighter green eyes should swerve more into purple shades. Getting the right shade to suit your own green eye colour can take a little research, but there is a red or purple for you, whether that’s aubergine, violet or a brick red. Top Buy- Clarins Mono Eye Shadow #12 is a great green-eyed shade of aubergine, try it, €19.50. Keira Knightley is our brown eyed girl and while she has beautifully shaped eyes, with subtle changes in her staple bronze/tan look manages to make her eyes look lighter or darker than they actually are. Brown isn’t on the colour wheel but it’s an eye colour that can play around with any shade on the wheel, but deep metals, brown and black can create a super smoky eye. If you have brown eyes like Keira this lends itself to any number of looks. Want to change it up then add black or brown liner on the inner rim of the eyes. Smoke It Up With- Fuschia’s Eye Dust Pigment in Sultry (€12.95) and line away with the Ultimate Eyeliner in Black, €14.95. All products listed available online or from select LloydsPharmacy stores nationwide. 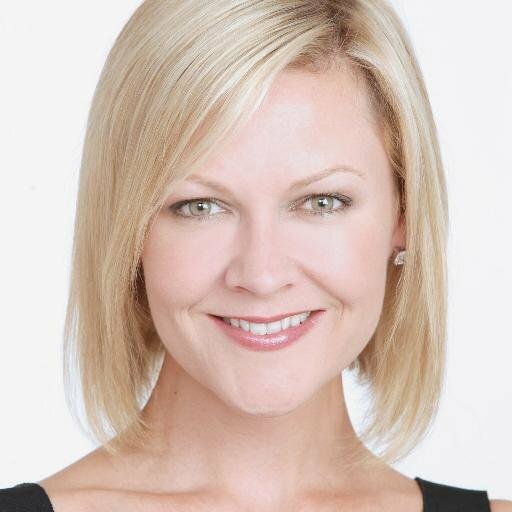 Laura Loves: Spring Cosmetics & Everyday Essentials! Now that we are enjoying the beginning of Spring, I usually do a beauty edit on my own cosmetics and everyday essentials. When seasons change we adapt to new shades and styles, but it’s also a great time to use fragrance to influence our mood in keeping with what the weather is giving us. I don’t mean just buying a new perfume, although that’s always a treat, but how scent can cheer through a variety of beauty items. April means Easter, and with that we indulge in chocolate. The main component of lovely chocolate is cocoa butter. If you have a sweet tooth you won’t over-indulge if your chocolate fix comes from some cocoa butter beauty. 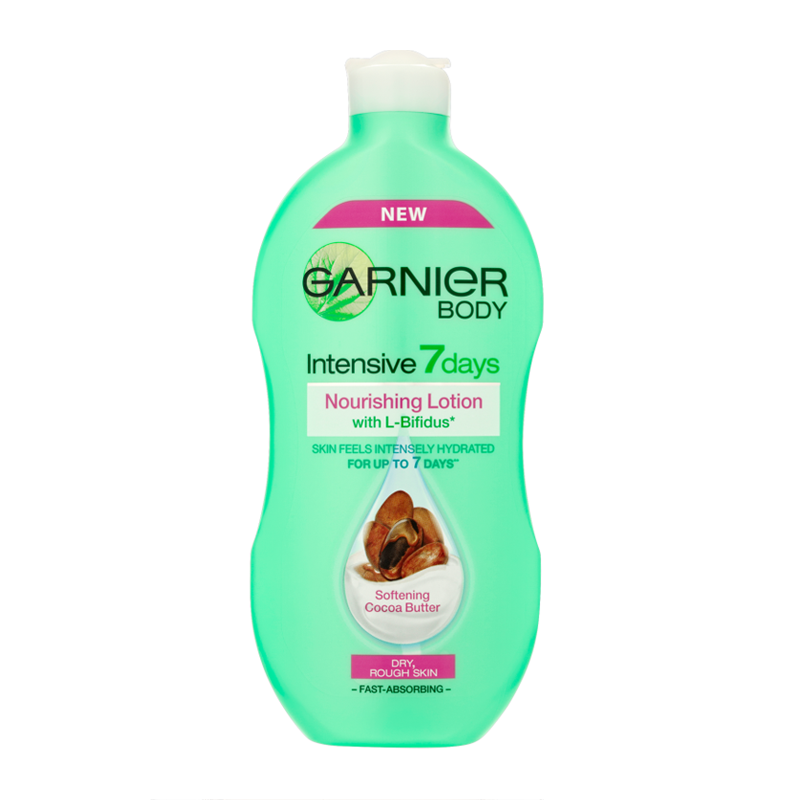 Garnier’s Intensive 7 Days Body Lotion with Nourishing Cocoa (€2.49) beautifully conditions skin, leaving it soft and comfortable all day long, smells great too! Rushed for time, check out Vaseline’s Spray & Go Cocoa Butter, this super fast body moisturiser offers great hydration in a simple spritz that smells chocolicious! Only €4.99 at LloydsPharmacy. My favourite scents remind me of Summer; sunny days, zesty fruit and the aroma of sand and sun cream. Fragrance that has citrus notes will remind you of the Mediterranean, as will certain flowers and notes like musk, all very popular with Irish women. Beyonce takes a great interest in creating her scents, working the fragrance like a song. Her Heat Rush scent is a perfect Summer scent. It opens with blood orange, passionfruit and cherry, and following those is hibiscus, honey amber and sunset musk, it’s like a holiday in a bottle, €25.95/30ml Eau de Parfum. Touch of Pink from Lacoste is another light, uplifting and energising scent. Orange and coriander are the opening notes, jasmine, violet, musk and vanilla are the lingering ones. As sunny scents go, this is lively and fun to wear. €42/30mls Eau de Toilette. Maybe you prefer the aroma of plants and extracts, something that feels like nature is all around even if you are city living? Relax Bath from Clarins is the perfect product for post-training session or busy day. Use in the shower or bath, this gentle foam has herbal extracts to soothe away the day and relieve fatigue, the boys would love it too, €21. Finally, the famed plant extracts in NUXE Huile Prodigieuse Gold Shimmer Oil is as popular for its scent as it is for it makes legs, arms and hair gleam with golden shimmer. This multi-use oil comes without gold particles too, either will make the skin gleam. €19.25/50mls. Let’s welcome the prospect of better weather headed our way, can we dare to start dreaming of a great Irish Summer? We shall keep our fingers crossed for now, but in the meantime we will put a little work into getting fresher looking skin for those glorious days ahead. Here’s the thing, you can always mimic a great glow with a little bronzer or foundation, but splitting the work between skin care and make-up and you have skin that genuinely looks brighter and healthier. To start, we need some super boosters. If your skin regime is a good one add in a little extra dose of hydration to take it to the next level. Avene’s Soothing Mask is packed full of calming and healing mineral water and nourishing oils. A creamy formula it doesn’t set hard on the skin and is a great once/twice weekly treat for tired, dull and dehydrated skin. Rinse or tissue away from the skin. €19, (Avene is 3 for 2 for March at LloydsPharmacy). As a daily dose of goodness and protection, Trilogy’s CoQ10 Booster Serum is an environmental shield against the pollution around us that would have us age before our time. CoQ10 is an anti-oxidant that boosts skin’s resistance, the blend makes skin feel soft and smooth. 1-2 drops daily on face and neck before an SPF moisturiser, €29.95, Trilogy is also 3 for 2 in March. When it comes to eye cream consider what it is you want to treat. For dark circles a cream like FaceD 3-Luronics Anti-Dark Circles would be ideal, €12.95 (usual price €22.95, save €10). But maybe fine lines are your main concern during the day. If so, take 5 seconds to apply Garnier’s Perfect Blur Eye Cream, a hybrid cream that uses optical diffusers to brighten the eye area, and blur technology to prime the area, lessening the look of lines and wrinkles ready for makeup. €19.99. The same blur effect is effective on the rest of the face, Clarins Instant Smooth Perfecting Touch is oil-free, packed full of hydration, and fills out facial lines to create a smoother canvas for foundation or just by itself, €28. So, the beauty of extra hydration boosts skin plumpness for better health and suppleness, the effects of blur technology add that little extra. Of course, we can’t forget more supple, softer skin everywhere else. Start your Summer prep with a great body oil like Tan Organic Arganic Oil, a heavenly blend of 8 plant oils with a subtle rose and orange fragrance. And it’s Irish try it, €24.99.